I've been invited to so many bbq since Memorial Day weekend and I always feel guilty just bringing with a bottle of wine. 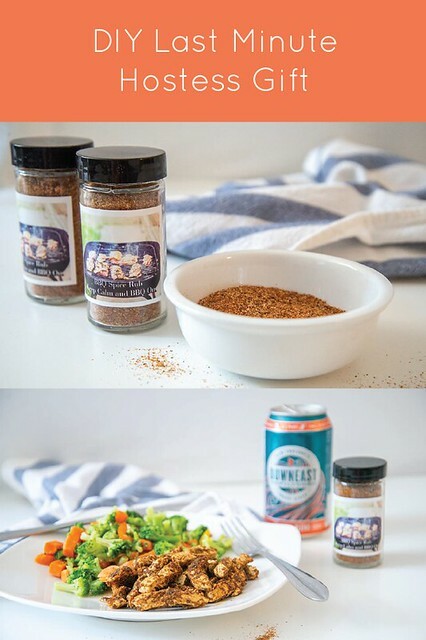 A while back, Alice and Lois posted a simple bbq rub recipe that I thought would be such a great idea to have on hand and give as a special gift for any host or hostess. I bought a bunch of spice jars from Big Lots (Amazon has similar ones) and I stocked up on some photo labels from Pinhole Press and made a batch so I can grab & gift for any impromptu gathering! The recipe will make approximately 5-6 jars and since there's so much I had to try it for myself. Since I'm a vegetarian I thought I'd try it with some meat-free chicken strips. I dipped them in the rub and fried them in sunflower oil. 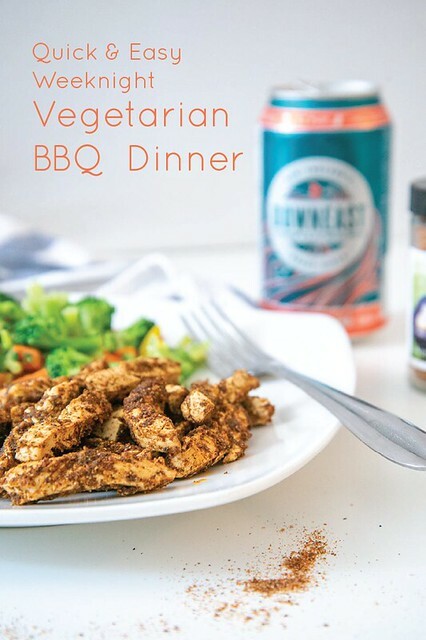 It pairs well with a cider beer and some veggies, plus it's a quick meal for any weeknight.